Ego depletion is a concept from motivational psychology which proposes that willpower is a finite mental energy (Baumeister, Bratslavsky, Muraven, & Tice, 1998). The ego is thought to function like a muscle (Muraven & Baumeister, 2000) and can enter a state of fatigue and exhaustion through taxing tasks. When the ego is depleted, self control is impaired, leading to a myriad of terrible consequences: uncontrolled devouring of ice cream (Vohs & Heatherton, 2000), subpar athletic performance (Dorris, Power, & Kenefick, 2012), choosing a chocolate cake over fruit salad (Shiv & Fedorikhin, 1999), sticking needles into voodoo dolls representing a spouse (Bushman, DeWall, Pond, & Hanus, 2014), and even the deterioration of human capabilities that should be resistant to miniscule, temporary influences, such as the IQ (Schmeichel, Vohs, & Baumeister, 2003). 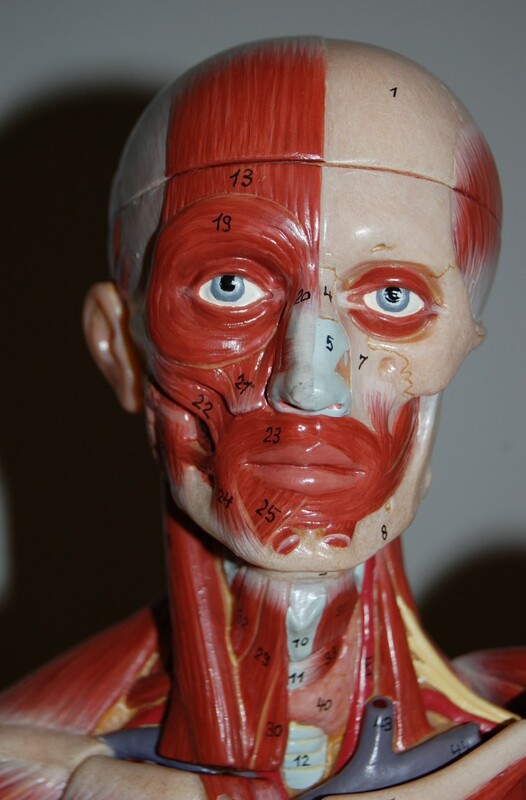 Not in this picture: The most important head muscle, the ego. Hence the disapproving look. Similarly, when the “muscle of the mind” rests, its energy replenishes over time. This can be facilitated through the mind-equivalent of a nice massage, such as playing video games (Reinecke, Hartmann, & Eden, 2014) or masturbating (Gailliot & Baumeister, 2007), though not necessarily in that order. While research on ego depletion has recently faced some criticism (see for example Carter, Kofler, Forster, & McCollough, 2015; Xu et al., 2014), this may be itself caused by academic egos depleted from receiving too many rejection letters for failed replications. Everybody knows that physical exercise can cause low blood sugar – but Gailliot et al. (2007) have discovered that the same mechanism is involved in ego depletion! Expending willpower energy for self-regulation (e.g., through the suppression of racist thoughts) reduces blood glucose levels, subsequently impairing self-control and performance in various tasks. Thus, glucose might be the fuel on which the motor of our ego is running! A happy man whose ego has been repleted. In short, a restored ego is the key to intra- and interindividual harmony. But how to restore and maintain an elevated ego when encountering challenge after challenge? It is literally easy as pie. As the saying goes: When life gives you lemons, make lemonade! Lucky for you, Dr. Dorian Primestein has created a magic lemonade formula just to make your life a little sweeter: The EGO BOOSTER Energy Drink! The EGO BOOSTER Energy Drink is designed for those who want to take lives back from their depleted egos into their own hands. Athletes, video gamers, candy enthusiasts, celibates, and psychologists dig it – and you will too. It comes with a ego-blasting flavor to electrify your taste buds! Tear into a can of the most reviving energy drink on the planet: EGO BOOSTER. It’s the ideal combo of the right ingredients in the right proportion to deliver the big bad ego boost that only EGO BOOSTER can. 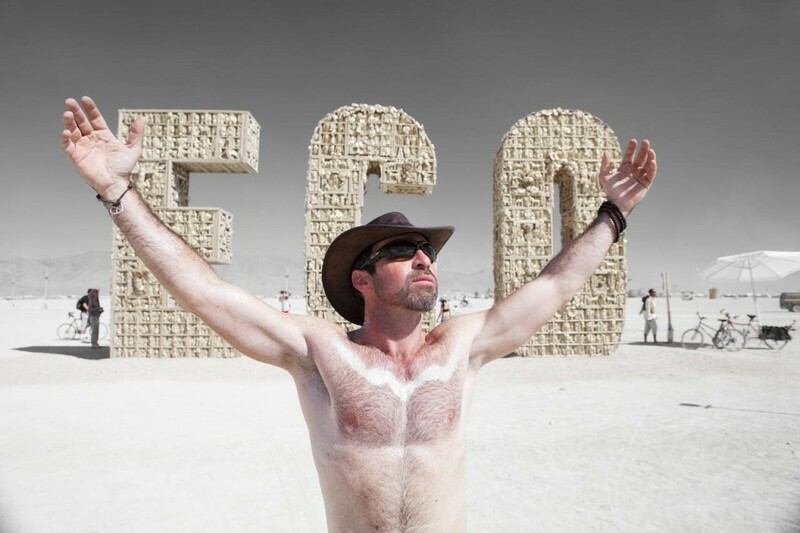 EGO BOOSTER helps giving you the ego you need – when you need it. 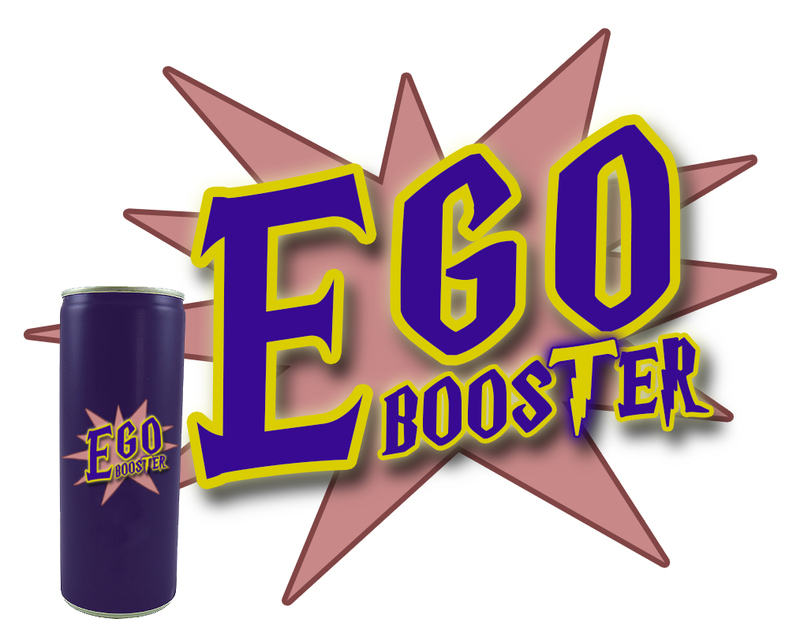 Drink EGO BOOSTER and your ego will turn into a SUPER EGO! Buy a sixpack of EGO BOOSTER now and never be ego-depleted again. * Order now and receive a free sample of the new ID AMPLIFIER! Due to an overwhelming demand, we are just out of Ego Booster! But don’t worry, new energy drinks are in the making. Just pay a visit psi-chology.com every now and then to make sure you won’t miss the next batch! * Cheer up, diabetics: Since willpower in people with diabetes is aspartame/stevia-based, the all new sugar-free EGO BOOSTER LITE takes a back seat to nothing! EGO BOOSTER LITE: 100% ego, 0% sugar. 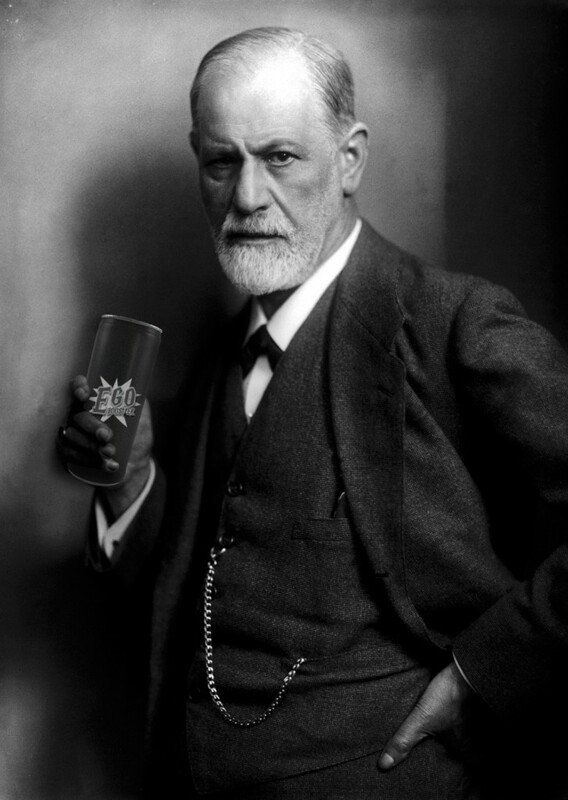 Drinks to his super ego: Sigmund Freud.